After the plane landed in Philadelphia at 6 a.m., the rental car and I headed north on 95, east on 76 across the Walt Whitman Bridge, and south on 42 on 55 to 47 to 109. A few spots along 47 intrigued me on previous drives toward Cape May, so I indulged the curiosity and stopped at the cemetery north of Trinity United Methodist Church. 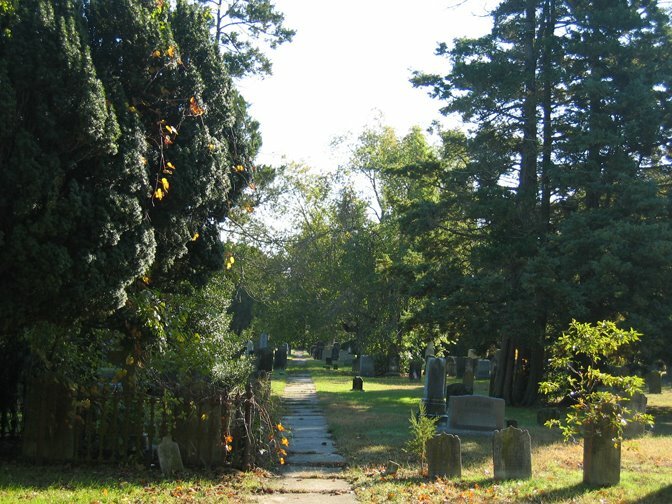 Have you birded in cemeteries? They can be great spots to find feeding birds, like the American Robins that I watched this morning. Later discussion with a friend revealed that Michael O'Brien counted 19,000 robins in that morning's flight at Higbee Beach. 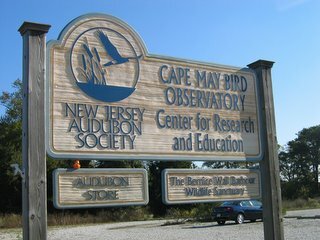 After enjoying the tranquility and the birds, I drove farther south to Cape May Bird Observatory's research and education center. The multitudes of LBJs in the brush stymied me, but the Northern Mockingbird preening on top of the parking lot lamppost amused me--as did taking a picture of this weekend's rubber duck, Jack, on the center's sign. Venturing into the center, I found a display of original artwork featuring raptors--my favorite group of birds. Lucky for me, Louise Zemaitis had contributed some prints to the selection of items for sale. I picked out an American Kestrel, and it now adorns my office. That evening, I got to invade Louise and Michael's home to eat yummy Italian food while talking with new and familiar folks. It was a delightful way to end a very long day and to begin Autumn Weekend!